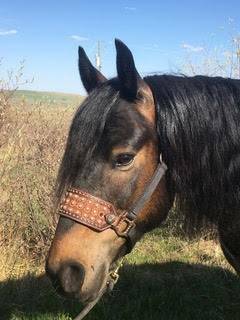 Neco is a 10 year old, very gentle, registered Canadian gelding. 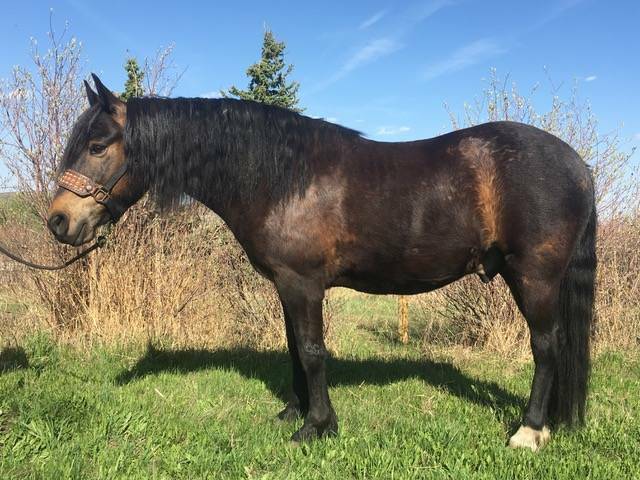 He stands 14.2 hh and has great foot and bone, which enables him to handle rough and rocky terrain, but is also very smooth and agile in the arena. 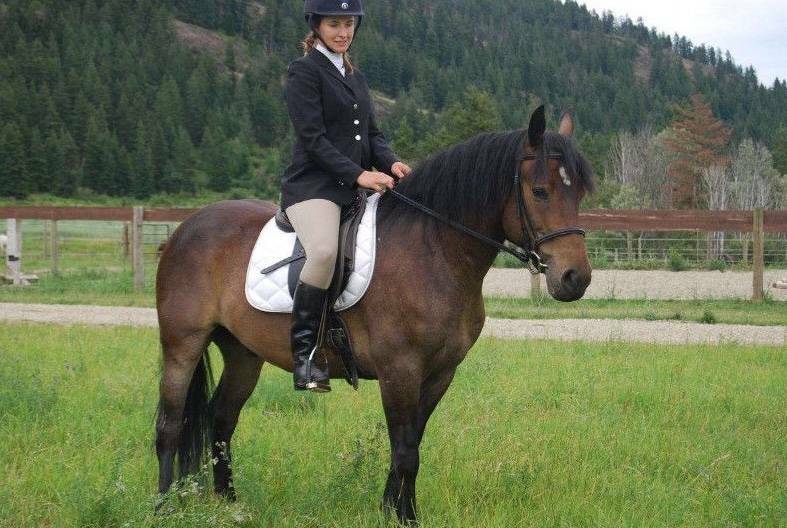 Neco can be ridden either English or Western, in or out of an arena. Quiet and easy going on the trails and loves to please. 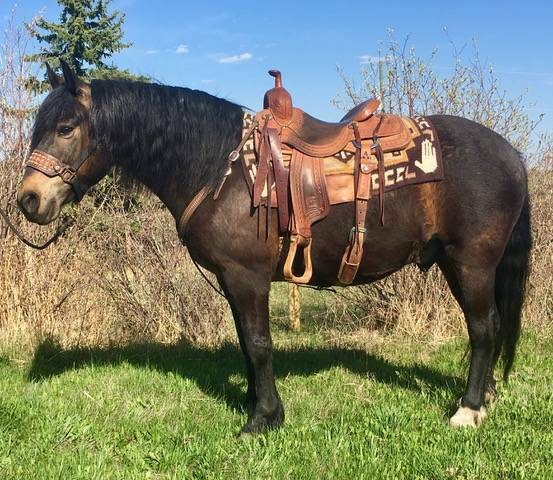 He goes well over jumps and is very willing in everything you ask of him. Soft in the mouth and off your leg. 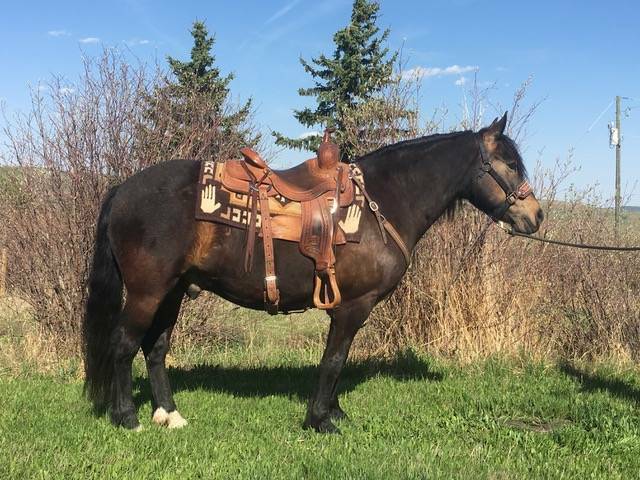 This keep little gelding has great all around manners and stands quietly for grooming, tacking and the farrier. Even with his handy little size, he will side pass to the mounting block! Neco is sounds, in excellent health and up to date on his vaccinations. The Canadian Horse is the National Horse of Canada. It is a strong, well muscled breed of horse, usually dark in colour, descended from draft and light riding horses. The first members of this small but sturdy breed of horse arrived in Canada in 1665 from the stables of Louis XIV. They quickly acclimated to the harsh Canadian conditions and the breed became renowned for their hardiness. In the early 1860's, thousands of Canadian Horses were shipped south to be used during the American Civil War where many where killed. By the 19th century, only a small number of pure blood Canadian Horses were left.